Guam bowlers pick up silver in Malaysia - KUAM.com-KUAM News: On Air. Online. On Demand. Noah Taimanglo and Jeremiah Camacho won a silver medal at the Asian Intercity Bowling competition held in Malaysia. This is their first Asian Intercity medal of their young career. The duos 2,629 pin total edged out the team from Happy Valley, Hong Kong by 38-pins. 15-year old Camacho poured in a 1,323 total while Taimanglo added 1,306. Macau’s tandem of Lei Hok Kin and Lee Tak Man shot lights out from the get-go to clinch top honors with a 2,804 set. 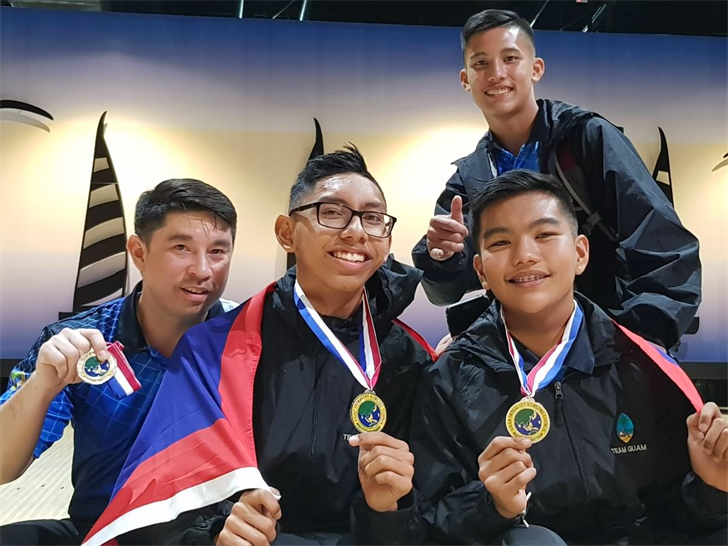 Guam’s other doubles teams of Michael Gadia and Charlie “MamaChar” Catbagan finished in ninth place with a 2,477 total, Frank Manibusan Jr. and Jay Leon Guerrero dropped in a 2,381 set for twelfth place and Sebastian Loyola and Cesar Villanueva ended in 27th.